One of my all time ‘happy places’ is East Day Spa in Auckland - along with its sister spa, Spring Spa in Ponsonby - where I’ve had the pleasure of whiling away an afternoon several times and actually didn’t want to leave! Both East and Spring do a fine line in treatments and promotions, and are most definitely the places to look come Christmas preparations and celebrations. I’m always dropping heavy hints to my nearest and dearest when it comes to gifting vouchers and treats, and one of the latest treatments I’ve experienced at their inner city location comes highly recommended. Called the Signature Yoga Facial and available at both East Day Spa and Spring, it is an exotic facial with an emphasis on anti ageing, but comes with a fantastic mind, body and spirit element too. One of the first points to win me over when it came to this facial was the fact that it utilises the incredible Votary range. The luxurious line was created in the UK by Arabella Preston, a celebrated makeup artist and former beauty editor who believes pure, natural plant oils are the best way to achieve healthy and luminous skin. “They have an affinity with your skin; it keeps you looking young,” says the beauty guru, who only uses oils to cleanse and moisturise. As an oil obsessive I can fully get behind this philosophy, and its oil focus was one of the things that drew me to the Signature Yoga Facial from the start. 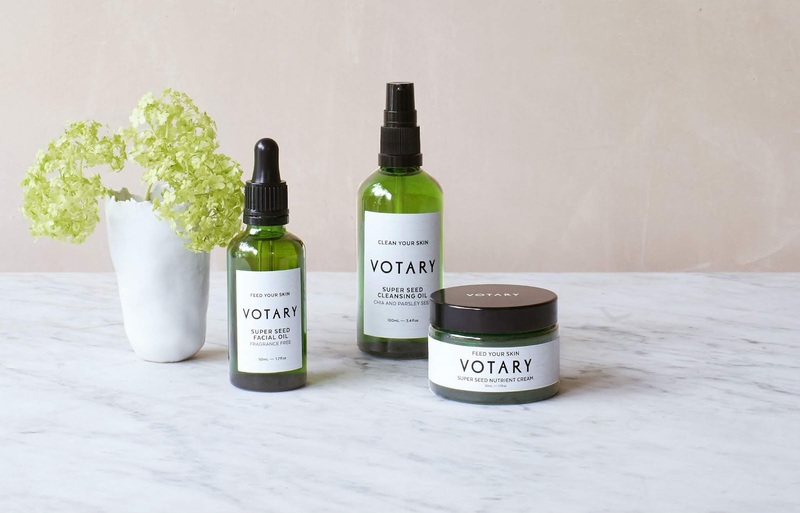 I'd also never previously tried Votary, and couldn't wait to get stuck in. East Day Spa and Spring’s Master Trainer has blended traditional facial yoga techniques with deep lymphatic massage to detoxify the skin and muscles during the experience, which begins with a cleanse using Votary’s antioxidant rich oils to nourish and improve circulation to the face. An enzyme gel exfoliant is then used to gently remove dead skin to reveal dewy skin, before the skin is quite literally bathed in Votary’s Superseed Facial Oil and the unique yoga facial massage technique applied. I love a good facial massage, which when done correctly, can give you amazing results in terms of lift and plumpness. The one I experienced at East Day Spa definitely did that, and so much more. An anti-ageing avocado mask is the gently brushed on to boost hydration and replenish the skin, and while it does its work, assisted yoga movements are applied to the legs to help with lymphatic drainage, stretching the muscles of the legs, ankle and feet. Cranial stretching, deep-assisted shoulder stretches and pressure point therapy are also added to the mix, for a firm yet relaxing “work out” for the facial muscles and the limbs. To finish, the skin is cleansed with a luxurious warm compress towel and then hydrating facial oils are applied once again. The end result? A calm mind and happy skin, with both continuing long after I’ve left East’s central Auckland location. At $150 for an hour long session of pure bliss, the Signature Yoga Facial is available at both East Day Spa and Spring Spa locations, and comes highly recommended. Book in for one yourself and buy a voucher for a friend – in the lead up to the silly season we can all do with a little extra Zen.